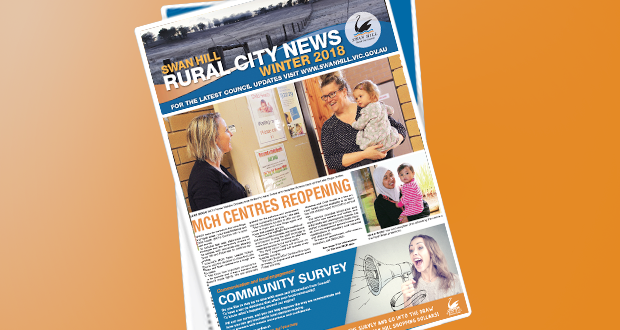 Swan Hill Rural City Council (Council) is committed to service excellence and recognises a customer’s right to make a complaint. Complaints give Council vital information about its services and a valuable opportunity to make things right and identify areas of service that need improvement. This Complaint Handling Policy aims to ensure that customers can raise their complaints with Council easily and with confidence that Council will listen to their concerns, be responsive and handle their complaints fairly and objectively. Anyone who has been directly affected by a decision, an action or inaction of Council has a right to complain. The provisions of this policy apply to the decisions, actions and inaction of all councillors, Council employees and agents of Council. We accept and respond to anonymous complaints, provided we have received enough information to do so. Council will maintain a complaints handling framework that includes policies and procedures related to complaints handling and unreasonable complainant conduct. It will also include provision of information about how to make a complaint which is made available at Council’s office and on Council’s internet website. The quality of an action taken, decision made, or service provided by Council or its contractor. A delay or failure in providing a service, taking action, or making a decision by Council or its contractor. A request for service is contact with Council to seek assistance, access to a new service, advice, information or to make a report about something for which Council has responsibility. Complaints handling will be based on the following principles, as outlined in the Victorian Ombudsman’s Councils and complaints – A good practice guide 2015. We are committed to resolving complaints that we receive. Our culture recognises people’s right to complain and considers complaint handling to be part of our core business of serving the community and improving service delivery. People can easily find out how to complain to us, and we actively assist them with the complaint process. The complaint handling system clearly sets out how to complain, where to complain, and how the complaint will be handled. The steps taken to respond to a complaint are recorded and will stand up to scrutiny. Under the complaint handling system, complainants and staff are treated with respect and courtesy, and complaints are judged on merit and fact. The complaint handling system protects the personal information of people making a complaint, and council staff are informed only on a ‘need to know’ basis. We are accountable, both internally and externally, for our decision making and complaint handling performance. We provide explanations and reasons for decisions, and ensure that our decisions are subject to appropriate review processes. We regularly analyse complaint data to find ways to improve how we operate and how we deliver our services. We then implement these changes. Complaints should preferably be in writing, submitted through Councils Lodge a Complaint Form on the website, complete with address and contact details. Telephone and verbal complaints will be entered into our complaints system, but where possible, should be confirmed in writing. Frontline resolution: frontline staff will receive the complaint and resolve it immediately, if possible. This may be with or without the assistance of a supervisor or team member. Investigation, if required: if frontline staff cannot resolve the complaint, it will be referred to a Coordinator or Manager for investigation. Internal review: if the complainant is not satisfied with the outcome of the investigation, they can request an internal review. Access to external review: if the complainant is not satisfied with the process or outcome of the internal review, they will be informed of any external avenues through which they can pursue their compliant. The Ombudsman can help when your complaint is about an administrative action taken by a council employee, but not those of a Councillor acting in the role of a Councillor or a council acting as a decision making body.